Checkendon has a huge range of activities and courses for children. Young children and beginners often start with a Walk in the Woods. Checkendon then offers private and group lessons for children as well as hacking and stable management lessons. There are birthday parties for the pony mad birthday girl/boy, which consist of an hour of riding and an hour of stable management, grooming and learning to care for the ponies. At weekends and in the holidays children can come to the Centre for a full or half day Pony Day. A half day runs from 10am to 1pm with an hour of riding, an hour’s stable management and an hour helping to feed and care for the ponies. The full day is 10am to 4pm and includes two hours of riding and two hours of stable management. 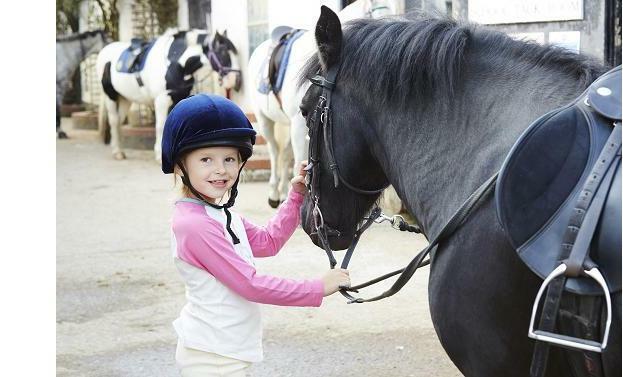 Checkendon is also a Pony Club Centre catering for children who do not have their own ponies as well as those who do. We provide training and testing for all of the Pony Club badges and certificates. For more information on all activities available for children please contact us.